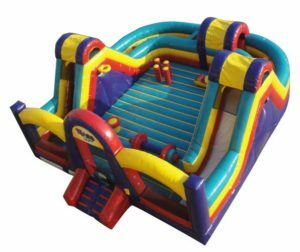 An all-in-one entertainment experience for kids of all ages, the Jumbo Gym Combo has everything kids love in one jumbo bouncer. 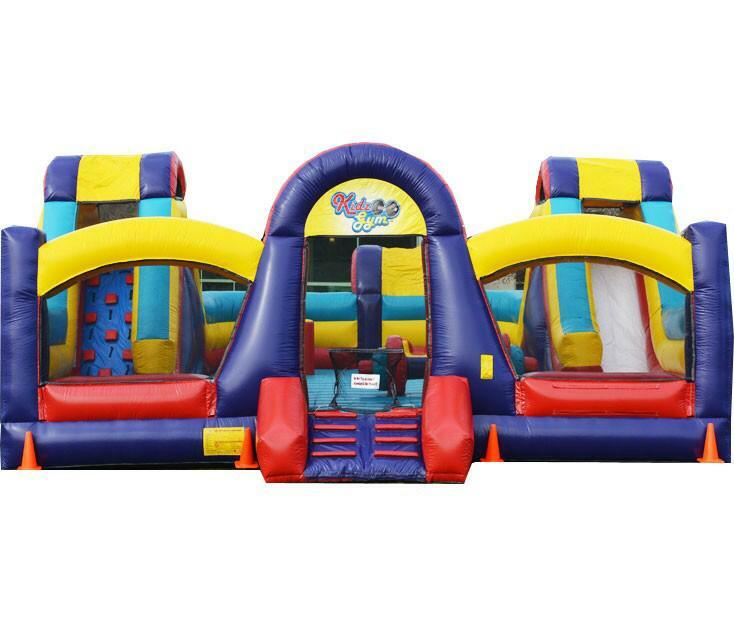 Kids will have a blast racing through the obstacle course and climb & slides around the outside of the bouncer. 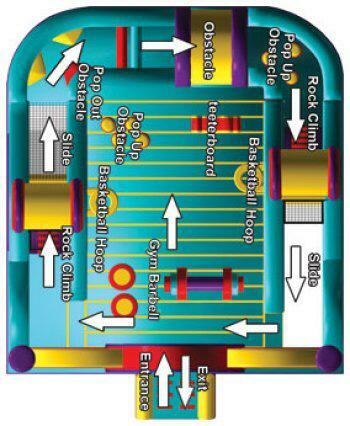 Meanwhile, inside, they will go crazy over the HUGE bounce space, 2 basketball hoops, teeter board and other fun activities.